When buying and selling real estate, title ownership determines who actually owns a property. A title is all the rights and privileges granted with a piece of real estate. The term “title” may also refer to the actual document, like a deed, that proves ownership. How you choose to hold the title to a property impacts your legal rights, as well as your options for passing on ownership in the event of death, divorce or sale. There are three broad categories of title ownership: Sole Ownership, Joint Tenancy, and Community Property. With Sole Ownership a single person, business entity, or trust has full ownership interest in a property. It is common for single men and women to own property in Sole Ownership. Sometimes married men and women hold property in Sole Ownership to keep their real estate separate from their spouse’s property. Sole Ownership makes real estate transactions very easy because no other party needs to be consulted to authorize the transaction. Joint Tenancy is when two or more parties hold the title to a property. Each party owns an equal share of the real estate, and all parties are on the same deed. The terms of ownership are written as part of the deed or another legally binding document. The parties do not need not be married or related. When one party sells or transfers its share of the property, the original ownership agreement is no longer valid and must be changed. With Joint Tenancy, when one owner dies, that owner’s share is automatically transferred to the surviving owners. This benefit makes Joint Tenancy good for married couples and among families because it avoids probate. Tenancy In Common is similar to Joint Tenancy in that two or more parties own the same property. But with Tenancy In Common the owners can own unequal shares of the property. The owners can also buy their shares at different times. Another difference between Tenancy In Common and Joint Tenancy is how ownership is passed on after death. With Tenancy In Common ownership passes to that owners heirs, not to the other parties who own the property. If the parties want to hold on to ownership after one party dies they would add a “Right of Survivorship” to their ownership agreement or deed. Tenancy in the Entirety is a special type of joint ownership used only by married couples. With this type of ownership both owners are treated as a single legal entity. Real estate owned as a Tenancy in the Entirety have a Right of Survivorship and the property passes to the surviving spouse outside of probate. Property owned in this way are also typically exempt from judgments against one spouse for that spouse’s individual liabilities. This is because these lawsuits can’t seize property from the the innocent spouse who is part of the single entity that owns the real estate. Community Property is a state law in Arizona, California, Idaho, Louisiana, Nevada, New Mexico, Texas, Washington, Wisconsin, and Puerto Rico. While each state defines Community Property in a slightly different way, it usually means that all property acquired during a marriage, including real estate, is owned jointly and equally by both spouses. Community Property does not guarantee a Right of Survivorship. Title must be held as Community Property With the Right of Survivorship to pass on ownership outside of probate. Fee Simple — Also called a “fee simple interest” or “fee simple absolute,” this type of ownership is considered complete and unrestricted. One or more parties can own property with a fee simple interest. Life Estate — This type of ownership gives the right for one or more parties to own and use a property during their lifetime only. They cannot sell the property, give it away, or pass it along to their heirs. Instead, the property goes to whomever was named in the trust, deed, or will that created the life estate. Future Interest — Gives one or more parties the right to own a property at some point in the future. Contingent Interest – Gives one or more parties ownership of a property only after certain conditions are met. Lienholder — Ownership interest in a property granted by being the holder of a mortgage, deed of trust, judgment lien, or mechanic’s lien on a property. Easement Holder — Ownership of the right to travel on, or otherwise use, a property owned by someone else. Power of Appointment — The legal right, given in a will or transfer of property, to sell a specific piece of real estate. 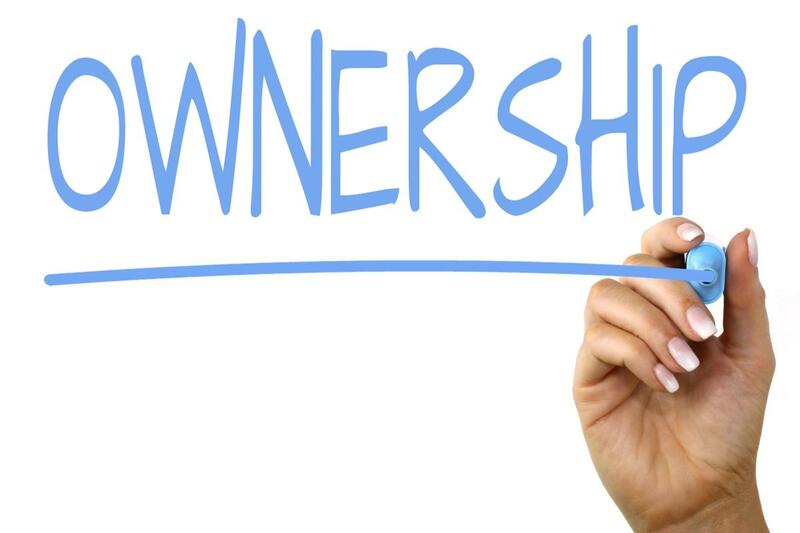 Beneficial Ownership — Also called “equitable interest,” this type of ownership is granted to a buyer that has signed a binding real estate contract. While the buyer may not yet own the property, beneficial ownership does give the buyer a legal claim to the property. Title ownership is an important part of buying and holding property. We recommend always talking with an attorney about the best type of title ownership for your specific needs.